I made recolors of Nengi65's Sea and Surf Curtains to match Lunie's gingham bedding an embarrassingly long time ago and never did the pictures and posting . Kate -- we love you anyway, And I say better late than never! Now, if we could only get these in your 100 colors.....100? 97? However many!!! 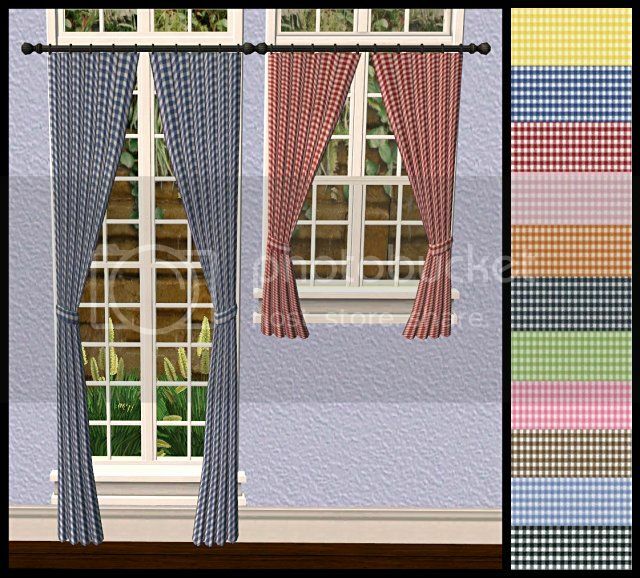 You can NEVER have too many curtain choices!!! Thank you for the Gingham splendour! Beautiful work on the recolors. I love gingham! I love the beddings, now I get matching curtains, yay :-) Thank you! !